What a great book for inspiration! Im loving the sparkly sandals. I think a little bit of sparkle can go with just about anything! Have a good week! What a great book to get inspired! I love to wear bright colours, especially in combination with white to keep it safe, but maybe I have to wear bright colours all over! I want this book too! It's great! Will love to have a book like that very inspiring and like how you present it to us. The details of fashion is fascinating good book to have. 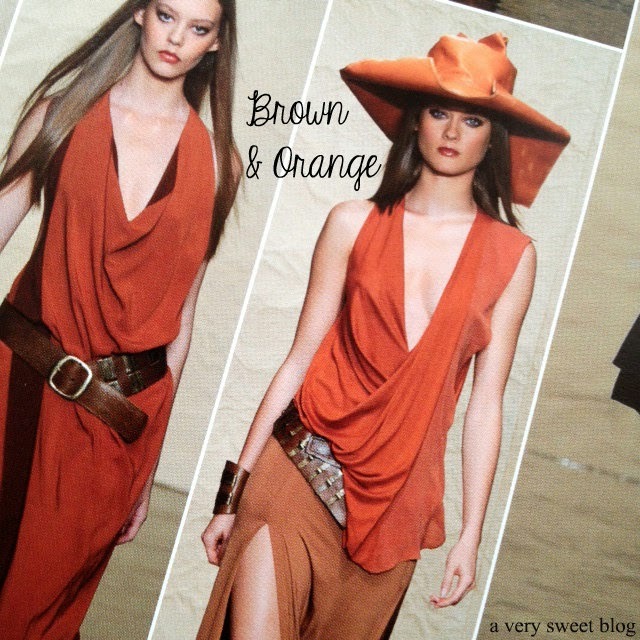 ooh sounds perfect and i'm loving that orange! Glad you've been getting some bright colour inspiration Kim! :) I'm not very adventurous in my colour pairings sometimes! With so much inspiration, sometimes it can be hard to choose an idea, like combining two colors, and not get hung up on the fact that you don't have a blouse and skirt that look exactly like the ones in the photograph. Love your glittery heels Kim, I hope you wear them often! wooooo~~ those color combinations sound and look amazing! i need to add a bit more color to my wardrobe! i realized i have a lot of greys and other neutral colors as well. Well, as you know I adore bright colours and always will wear them! Very interesting book for you to review. I know that we receive similar booklets for work, but with forward trend forecasting so that we know and have inspiration for the next collections to produce. I love your sparkled shoes too! 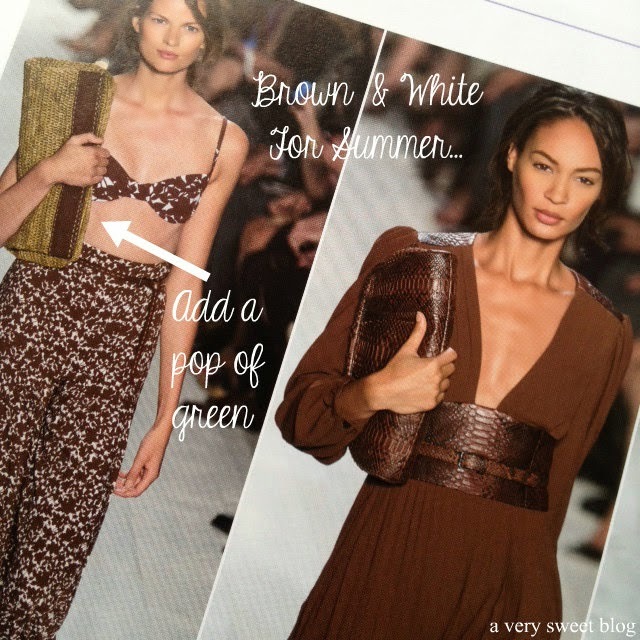 Before I started blogging, I used to wear neutrals and very little color. Now I LOVE pairing different colors together! These are such lovely color combos! I need to start my wardrobe spring cleaning today. I have way too much of black and warm stuff which I'm gonna pack and put away cas the next month or two will be pretty hot! That looks like such a fun coffee table book!! Oh I had not heard of this book! Thanks for posting. I am on the look out for high end coffee table books that I am collecting for when I buy my condo. Looks awesome. I like how you made the color mixing trend your own--- I don't think it is a matter of being bold enough to wear turquoise, but more so you being true to your aesthetic. I I have done some color mixing like turquoise and brown, but I prefer neutrals and maybe just a splash of color. 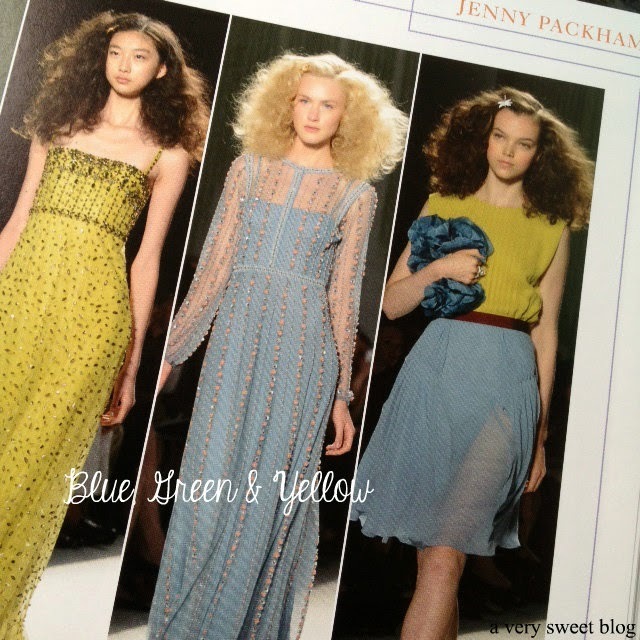 That being said, the Jenny Packham colors are lovely…. This book is so fun - what better way to keep track of all the trends! This looks like the ideal book for some new inspiration. I've just had a clear out with a couple of trips to the charity shop and I've been looking at all my neutrals. I'd like to add a touch (just a touch!) of orange to my creams and beige. I love your sparkly heels and the nail polish which is always a great way to add an instant pop of colour. I'm a neutrals girl, too, Kim, and it's something I've come to embrace over time. 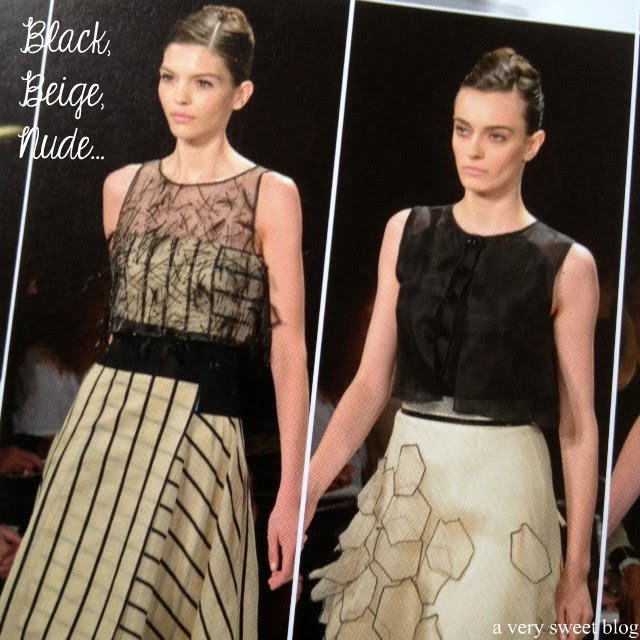 But spring is a great time to mix it up and try something new - and Fashion Week is the best place to find inspiration. I just love your sparkly shoes, they'd make me want to go out dancing! 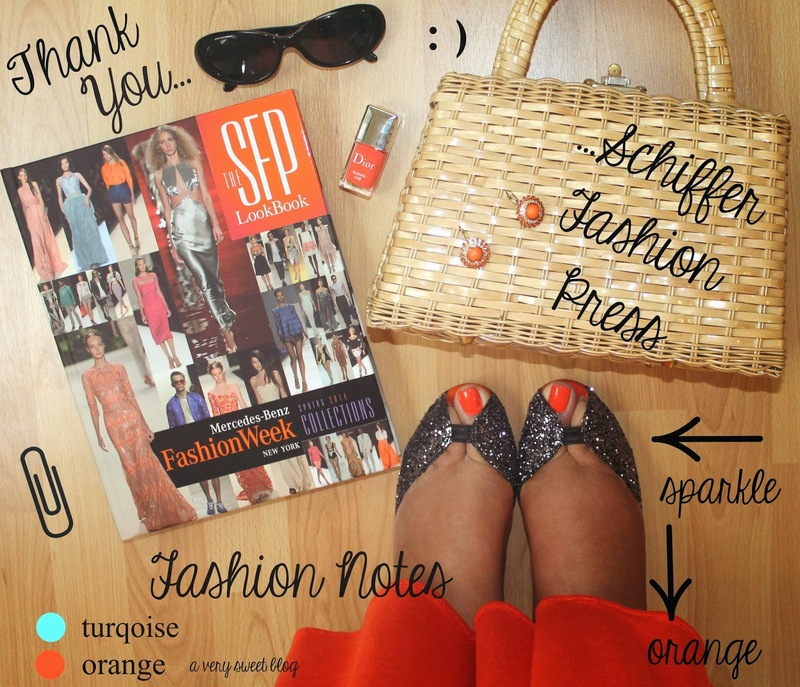 This book sounds chock full of ideas and fashion inspiration! Love the pretty look you put together Kim! Your sparkly sandals are totally gorgeous! I've always been a color girl and lately I'm loving mint and red together. what a great book for inspiration! love the glittery sandals Kim! 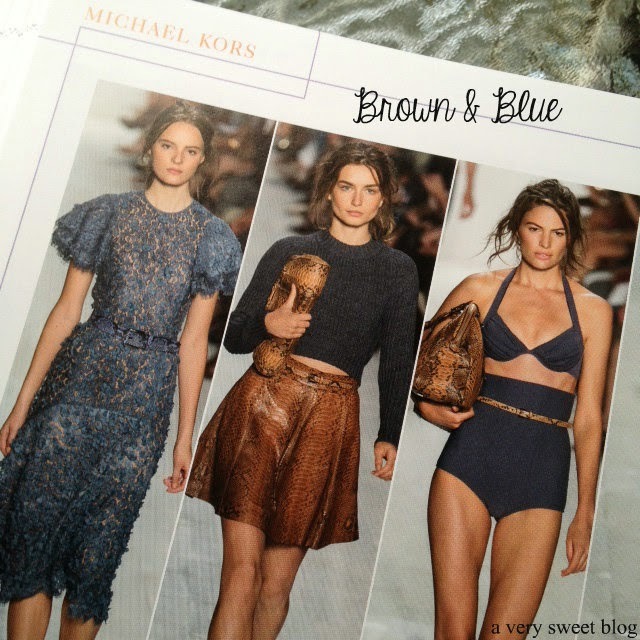 One of the reasons why I fell in love with J.Crew was because of their amazing color play! They always put together these unexpected-- but gorgeous-- combinations! I'm currently loving light pinks and browns-- & brown and navy; just so pretty! I love all those colours and those glittered sandals are amazing! Cutie bag! I need one of those. Hi Kim, I like black white and tan or beige because you can mix and match and it's really helpful when traveling.Take care and enjoy the rest of the week. Love those sparkle shoes! Too cute. A fantastic book, full of inspirations! Loving the unexpected color combos! i love my neutrals, too, but i would like to throw in some jewel toned colors like rich blues, purples, and oranges. I love the colors! So vivid! Fabulous colors for this Summer. The sparkle Sandals are gorgeous. Thats a great book you got there! This would be a good book for my closet. Very inspirational fashion-wise. Love it!! I used to be an all-black-errthang gal, but I've spiced up my style with more colours, because they somehow put a smile on my face. I feel vibrant when i wear colours. :-) Great post Kim! I'm scared to try and sort anything out, I did get rid about about 20 dresses though last months. Ha. The look book looks fantastic! Love the inspiration! Such pretty looks. I love to clean up my winter closet as soon as possible. 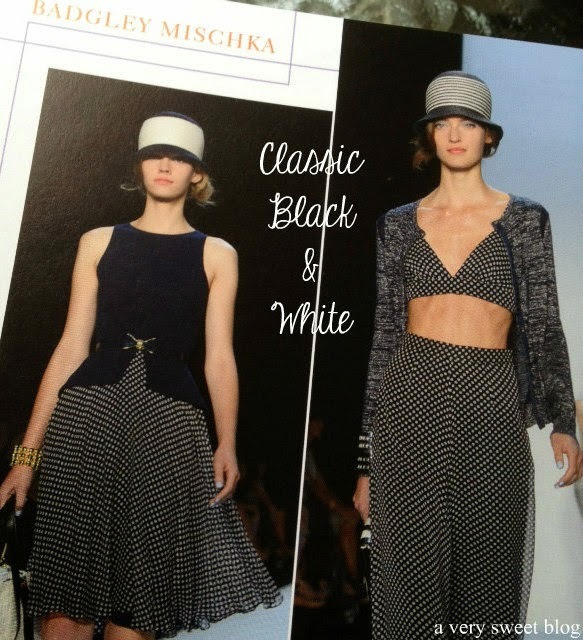 These spring and summer are so classy collection. Thx so much for your lovely comment:). Hey Kimmy, I love this fashion look book, so many chic looks! My favourite is the blue and orange, and brown and white. Thanks for the virtual tour! Have a great week, girlfriend! What a wonderful inspiration. Kim so fabulous pairing. You know how much I love pairing prints and colours,it's so much fun. Was delighted that you found inspiration. So stylish Kim. I have to clean out my Closet for Spring soon. 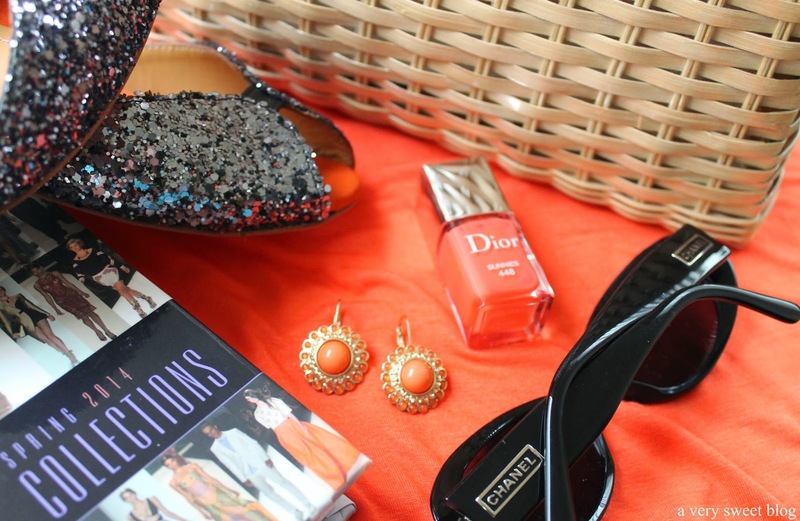 I adore your orange Dior nail polish. Looks so refreshing and elegant on you. I like those sparkly shoes! Wow what an incredible resource!! The challenge is always how to make old things new again. How amazing that you attended the shows at that they reached out to you to review their book - congrats!! Your shoes are awesome! I love that sparkle! I feel the same way after cleaning out my closet. Thanks for the great inspiration! It's the perfect idea to look through the collections for inspiration on how to revive your wardrobe. I can't wait to switch my closet to spring summer! What a great book! This is the first time I've heard of it. Such a great idea! Lots of inspirations in that book. Love your shoes! Thanks for sharing your thoughts with me Kim...Have a great Friday! 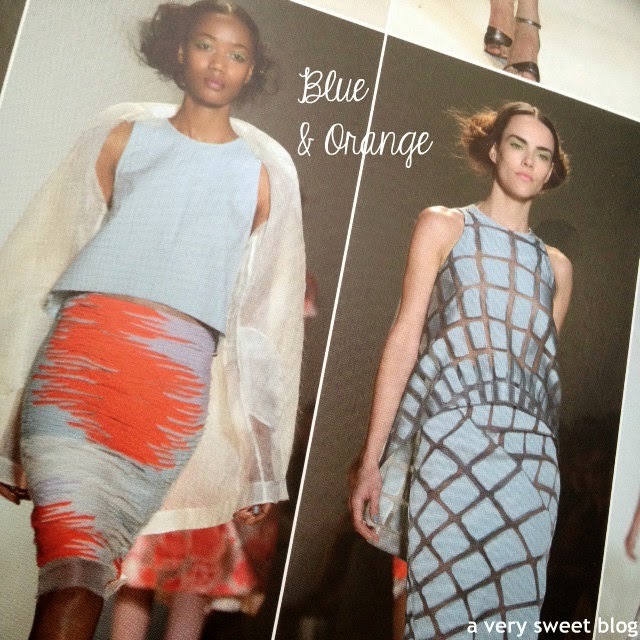 I am still crushing over orange so I'm glad to see it's still lingering around in collections! 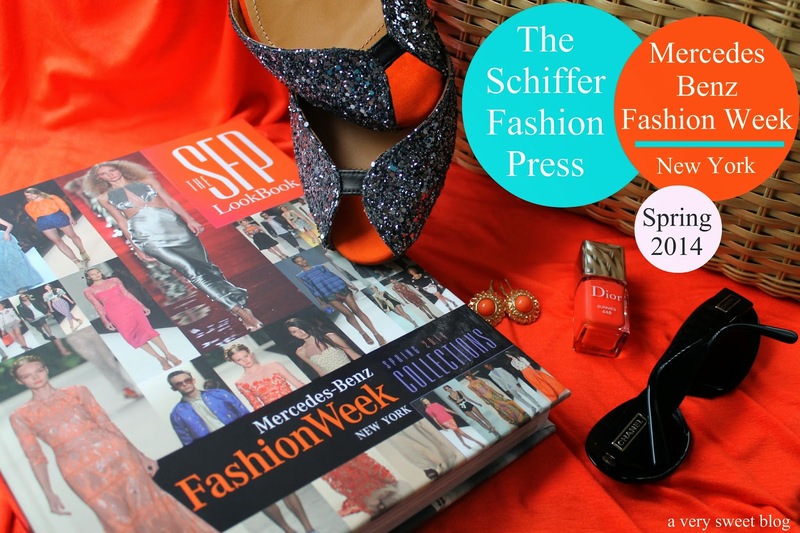 Fashion books are a handy source of inspiration to keep near everyone's closet! 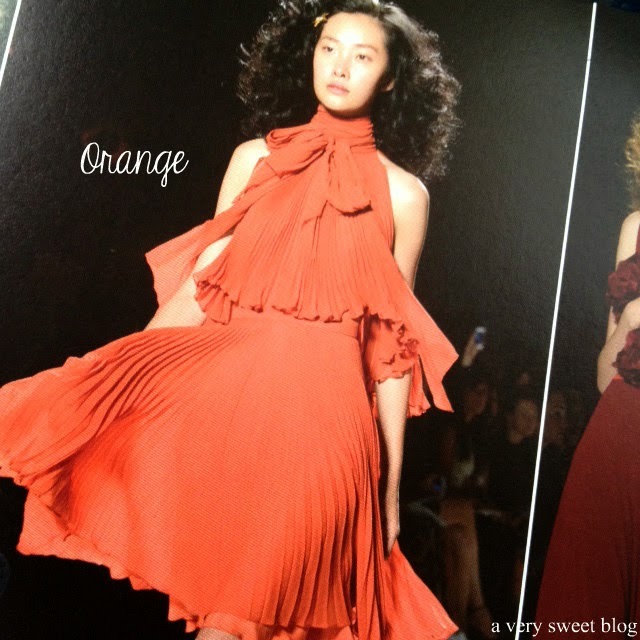 I'm obsessed over orange/coral and pleats, so you can guess how fab your outfit looks to me! Love the sandals Kim ! … and I think this is book a great addition to any coffee table. How lucky are you? very neat fashions indeed Chanel always makes a girl smile!! What a fun book Kim and I get so much inspiration from mags and look books. I just did a major clean out for Spring and really love how you photographed this pos with all the sparkle and orange.